My big news this week is that the printed proof copies of The Beast’s Heart have arrived in the London office of my publisher, Hodder & Stoughton, and a small pile of them will soon be winging their way into my waiting hands. To say I’m excited is putting it mildly. Up until those photos were tweeted, I had only seen the front cover, so I’m still swooning a bit over the detail on the spine and I had to pinch myself to make sure I wasn’t dreaming when I read the lovely words they’ve put on the back. If you would like to receive a review copy, Hodder has information available for book bloggers here. 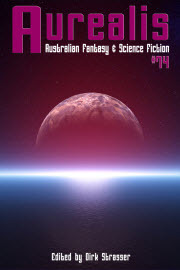 If you’re an Australian reveiwer, your best bet is probably going to be through Hachette Australia on Netgalley. Such a beautiful cover, Leife! I know, right? 🙂 And it’s just the proof! I haven’t seen the actual cover yet. When’s it due for release?